We are collecting In-Kind Gifts for other countries year-round, please call your local area In-Kind Collection Center for further details. In-Kind Gifts are donated goods and services rather than monetary donations. Goods are valued at fair market price and the donor determines the value of goods. A review is made by HHRD teams to ensure that a reasonable value is placed. In-Kind Gifts Program has been saving and enhancing lives of hundreds and thousands of beneficiaries since 2008. 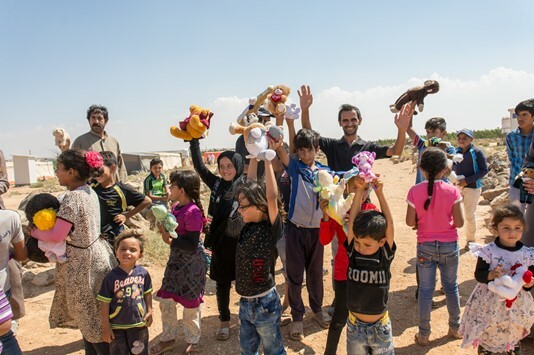 From local private donations to large corporate shipments, HHRD is truly connecting people's resources with people's needs around the world. A wheelchair allows a man the freedom to move; a pair of shoes and clothes gives a child protection from harsh weather and toiletries protect the poor from germs. 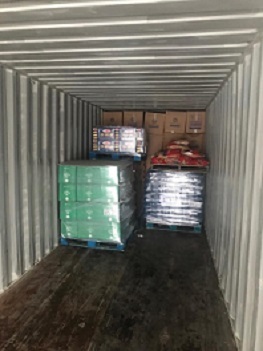 These shipments are now part of HHRD's ongoing humanitarian campaign to provide urgently needed aid to the hospitals, clinics, schools, and civilians of war-torn countries. 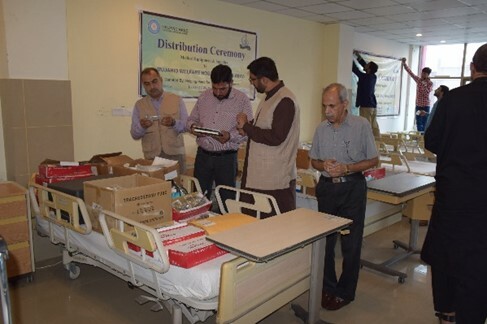 In Kind Gifts also includes medical supplies and medical equipment such as these donated to a hospital in Faisalabad, Pakistan. 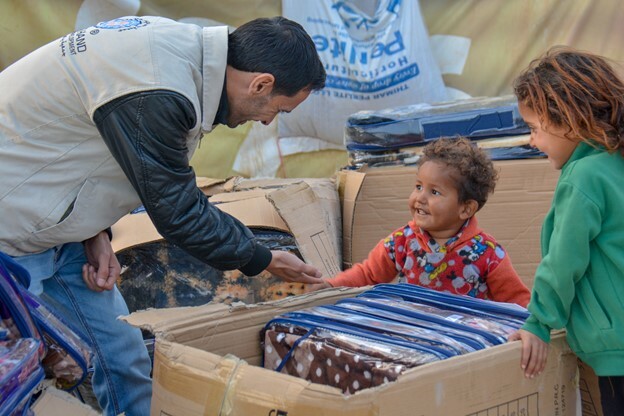 Distribution of a California bedding container in Jordan for Syrian Refugees and needy Jordanian families. 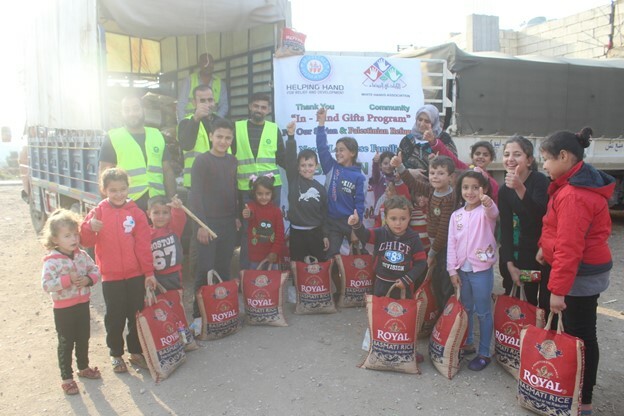 Distribution of food from Florida to Syrian Refugees in Lebanon. Distribution of a Houston container in Jordan for Syrian Refugees and local needy Jordanian families. Medical supplies distributed to a hospital in Nepal. 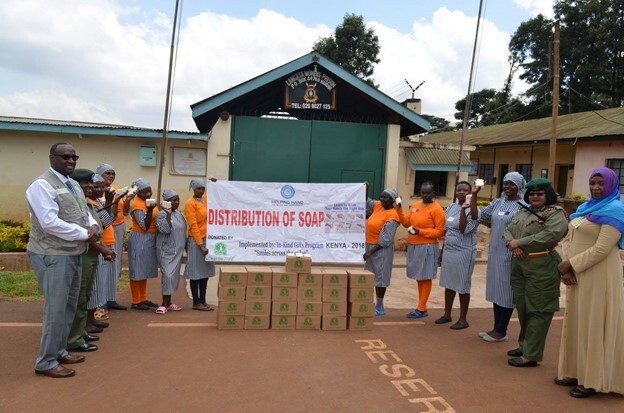 Distribution of soap for hygiene awareness in Kenya. 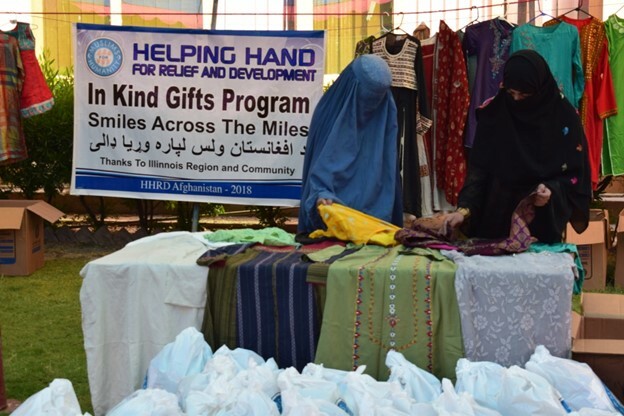 Distribution of an Illinois clothing container to the needy in Afghanistan. 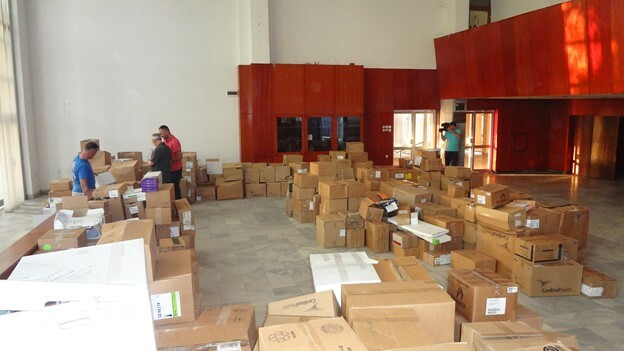 Unloading and sorting of a medical container from Arizona in Macedonia. Can zakat money be donated for this program? How much it cost to ship a container? What in kind items can be donated? Yes, businesses can donate or sponsor full containers of items of food, bedding, soap, school furniture, school supplies, diapers etc. What happens when a container reaches destination? 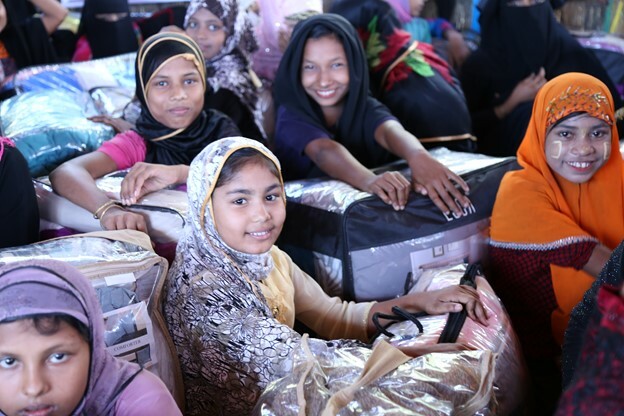 It is cleared from customs and then distributed among carefully chosen beneficiaries. Distribution pictures are taken for record purposes and if desired are shared with donors. A proper distribution report is generated and recorded. HHRD makes door to door follow up of in kind gifts. NOTE: Please consider donating $10 to $200 to cover the shipping cost of containers. One container has $100,000+ worth of items. 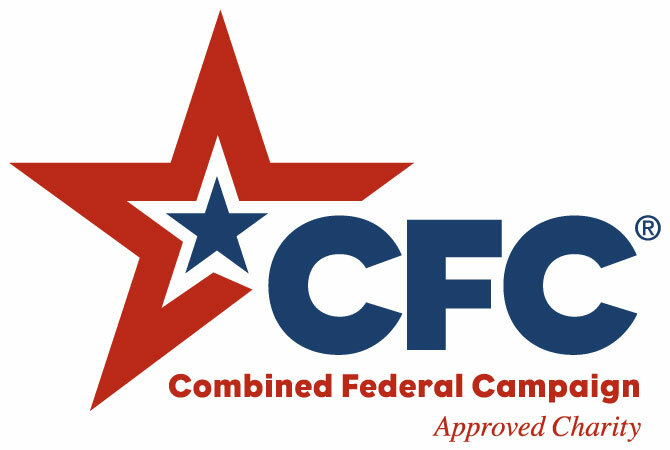 The cost per life saving medical container is $10,000: Tax Deductible Receipts will be issued for your contribution.